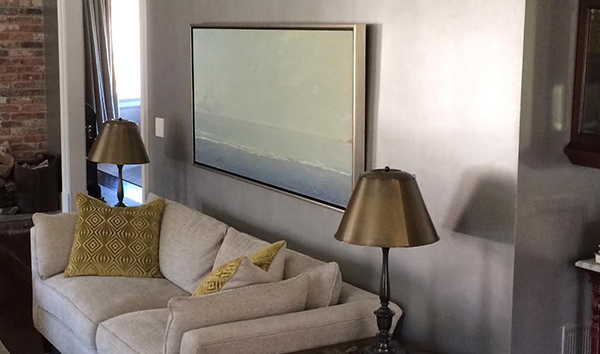 With our European training and vast experience, we offer a variety of decorative painting services & techniques. Our goal is to arrive at the essence of the vision of the project, to use these various skills in the service of color, light and texture. A vast library of plaster finishes that telegraph Fine Textures upon each other. 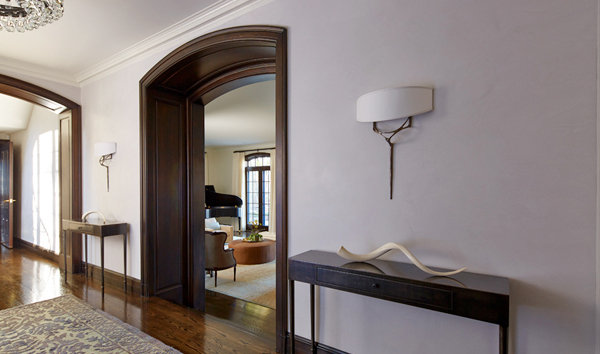 Pictured: Carrara Venetian entry hall at the Irvington Estate. Pictured (right): Greenwich CT residence. Plaster finishes, Frescoes, Trowelled Metallics, and all aspects of Gliding. 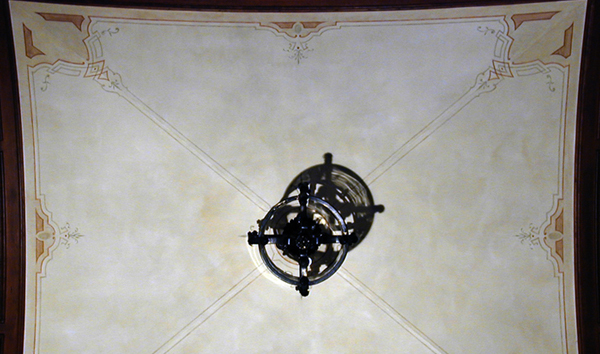 Pictured (left): Vaulted Library Ceiling Fresco. 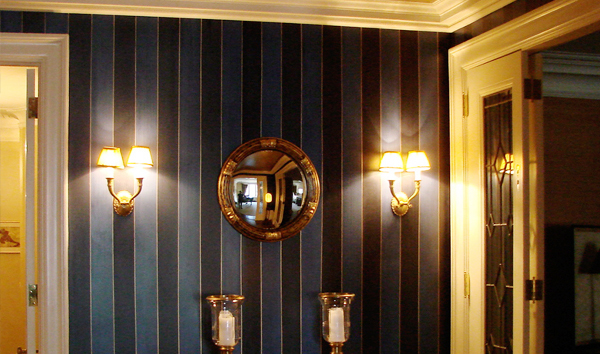 Pictured (right): Striaed and gold pinstriped walls, Park Avenue, Manhattan. Cerusing, faux bois and antiquing. 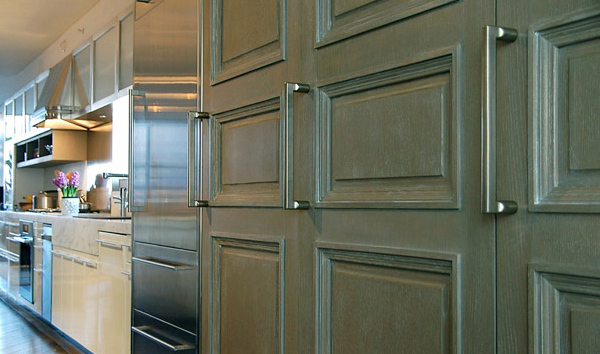 Pictured (right): Coerced Oak Doors.